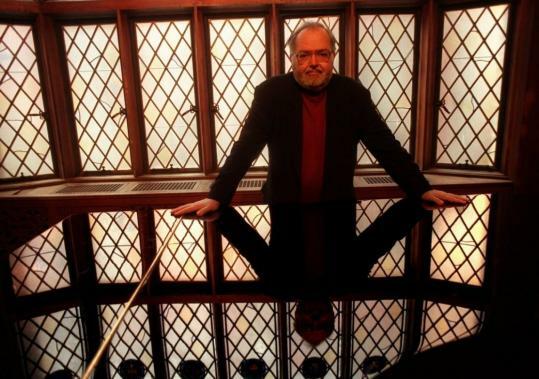 Craig Smith, the conductor and pianist who founded Emmanuel Music and built it into a cherished hub of Boston's musical life, died yesterday morning at Beth Israel Deaconess Medical Center. He was 60. The cause of death was heart failure as a result of diabetes-related kidney failure, according to a Pat Krol, executive director of Emmanuel Music. "He represented the meaning of devotion," said pianist Russell Sherman yesterday. "He always found this light of meaning and beauty in music. It was a torch he carried for us and for the whole community." Mr. Smith founded Emmanuel Music in 1970 as the resident ensemble at Emmanuel Church, but his ambitious vision quickly established that this would be much more than a church group. Over the first seven years of Emmanuel Music's existence, Mr. Smith conducted a complete cycle of Bach cantatas, the first cycle of its kind in the country. The habit stuck and a weekly Bach cantata has been part of the Sunday morning service at Emmanuel Church for 37 years. Mr. Smith led his last cantata on Nov. 4. It was BWV 72, "Alles nur nach Gottes Willen" ("Everything According to God's Will Alone"). While Bach dominated the ethos of Emmanuel Music, Mr. Smith also led the US premieres of several Handel operas in their uncut versions. He led the choral works of Heinrich Schütz and programmed large surveys of the chamber and vocal music of Schubert, Brahms, Debussy, Ravel, and Schumann. In the 1980s, he collaborated with Peter Sellars in iconoclastic productions of Mozart's Da Ponte operas, stagings that have been performed internationally and released on DVD. Mr. Smith and Sellars also collaborated on a famous production of Handel's "Orlando" that placed the action both at the Kennedy Space Center in Cape Canaveral, Fla., and on the planet Mars. The choreographer Mark Morris was also a close collaborator, and Mr. Smith led the world premiere of Morris's most acclaimed work, "L'Allegro, il Penseroso, ed il Moderato," in Brussels. But it was less for his occasional adventures in opera and dance and more for his daily devotion to discovering the vital expressive core of every piece that made Mr. Smith a much-loved figure among local audiences and musicians. One violist who played in the Orchestra of Emmanuel Music and later sang in the chorus was the late Lorraine Hunt Lieberson. She became a revered mezzo-soprano but continued her collaboration with Mr. Smith and Emmanuel Music, most notably in a gripping staging of two Bach cantatas, directed by Sellars and conducted by Mr. Smith. The theater piece toured widely and was recorded on the Nonesuch label. The large group of musicians associated with Emmanuel Church includes the baritone Sanford Sylvan, and composer John Harbison wrote several works that were premiered at Emmanuel Church. Mr. Smith "had a very pure relationship to music that never wavered; he was completely invested in everything he did," Harbison said yesterday. "Through a unique kind of energy he brought all these people together and convinced them this was a way to exist - and now Craig's community of musicians spans generations, and some of them have spread all over the country." Mr. Smith was born in Lewiston, Idaho, in 1947. He began piano at 4 but was involved in music even earlier. It was ubiquitous in his home, and his mother, a teacher, and his father, a building contractor, encouraged his love of listening and playing. Besides piano, he played the flute, and even the bass drum in the marching band. At Washington State University, he was given his first exposure to opera. "That changed my life," Mr. Smith said in a Globe interview in 1981. In 1967, he attended a summer program run by New England Conservatory and decided he would transfer to that school. His formative teachers included Sherman and the violinist Rudolf Kolisch, with whom he studied chamber music. Mr. Smith was still an undergraduate when he joined the choir at Emmanuel Church. At just 21, he was offered the job as director. Over the years, he assembled an excellent orchestra and chorus of devoted local musicians who were seemingly drawn to the joyful purity of his music-making. He had a wide-ranging musical intellect and a gift for dreaming up large-scale projects, such as a 51-concert Schubert cycle that took seven seasons to complete. Mr. Smith maintained ties with his former teachers, including Sherman, who remained in the orbit of Emmanuel Music through the years. "Everything he touched he cherished, and relished with an incredible tenderness, conviction, and belief, and with complete selflessness," said Sherman. "Everything he did, he did with flair, a cherubic smile, and a Mozartean sense of absolute pleasure and happiness in the task itself. And he created a place for music that was indomitable." Mr. Smith conducted in numerous US cities, and in Hong Kong, the Netherlands, Israel, and New Zealand. From 1988 to 1991, he had a conducting appointment at the Théâtre Royal de la Monnaie, in Brussels. But Mr. Smith by and large chose to focus his activities on what he could create at home with his Emmanuel musicians. According to Harbison, "Craig always knew that the world's scorecard didn't always correspond to fundamental artistic values, the basic sense of being there for the music." Speaking of Emmanuel Music in a 1981 Globe Magazine interview, Mr. Smith put it simply: "There is not much room to do more. Our job is just to do better." Mr. Smith leaves a brother, Kent, of Brussels. A memorial service will take place at Emmanuel Church at a date to be announced.